Children are kept very busy every minute of the day. 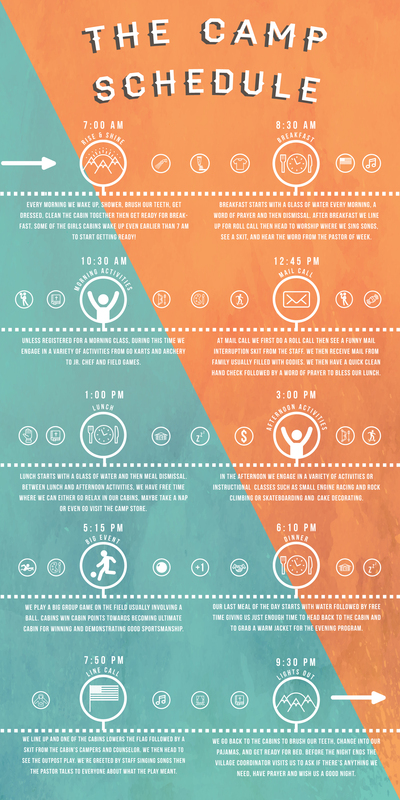 There is a bit of free time after meals, but we try our best to keep campers engaged with worships, fun activities, games, and fun. 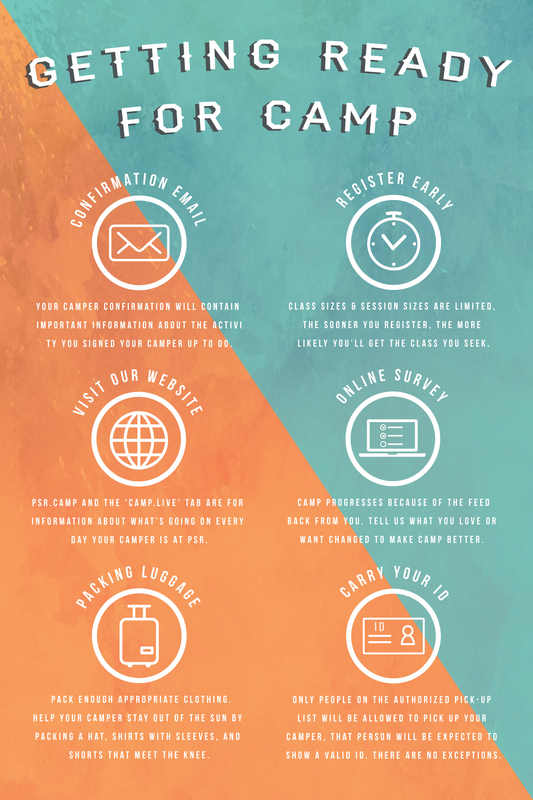 What does does camp expect from campers? We have very simple expectations from campers. 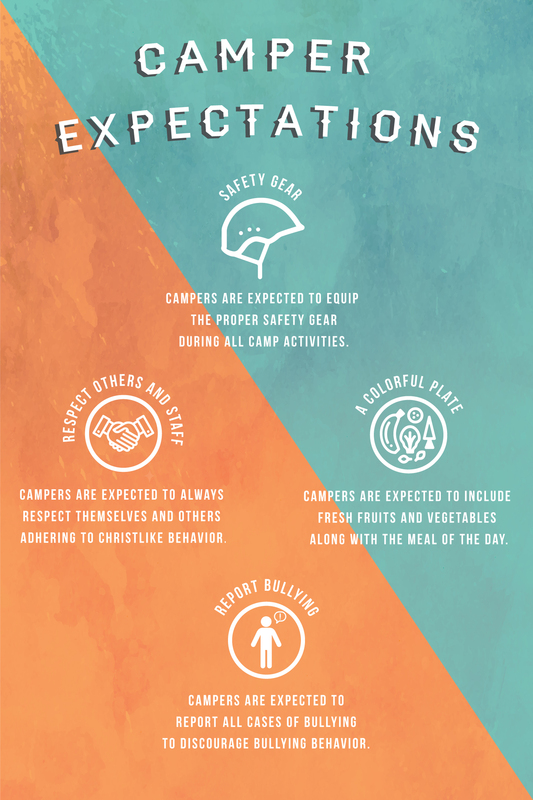 If campers follow these basic guidelines they're sure to have a better experience at PSR Camp. HELP! I'm a new parent and I'm not sure what I need to do. If you're getting ready for your first session at camp there are at least six things we'd like you to know and remember. Here are some actual quotes from our 2016 parent survey. 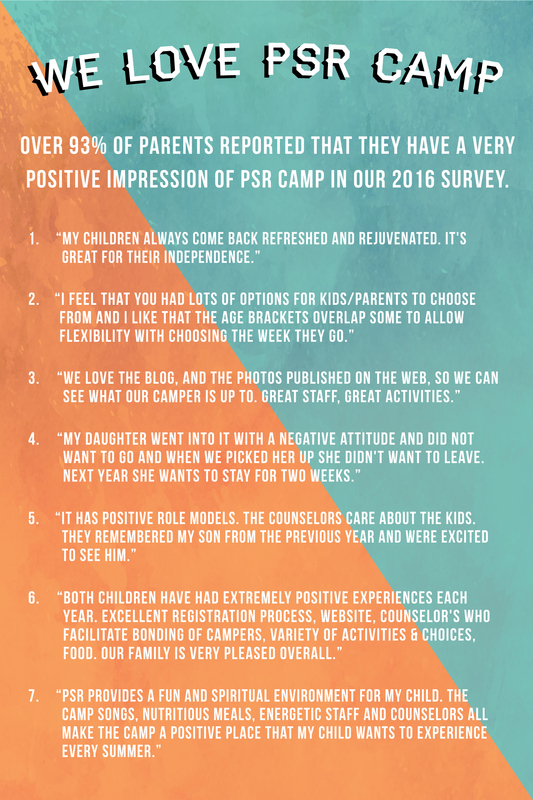 PSR Camp has to deliver what parents desire because without them we'd be out of business! We do our best to stand on the pillars of safety, spiritual enrichments, and fun each year and our customers love us.